SNIP: The world is in the middle of what is likely to be the warmest 10 years since records began in 1850, say scientists. The Met Office is forecasting that temperatures for each of the next five years are likely to be 1C or more above pre-industrial levels. In the next five years there’s also a chance we’ll see a year in which the average global temperature rise could be greater than 1.5C. 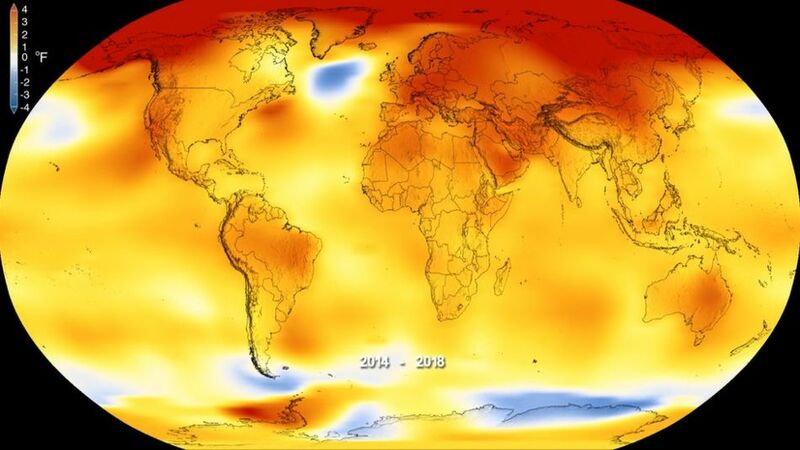 It says that from 2019 to 2023, we will see temperatures ranging from 1.03C to 1.57C above the 1850-1900 level, with enhanced warming over much of the globe, especially over areas like the Arctic.